1. What decided your career as a lifeguard in Coronado? I got involved with life guarding in 2000 when I was 9 years old and became a Junior Lifeguard at Silver Strand State Beach. I returned every summer and joined the cadet program there. When I turned 16, I attended the California State Lifeguard Academy in Huntington Beach and then began working as a State lifeguard. 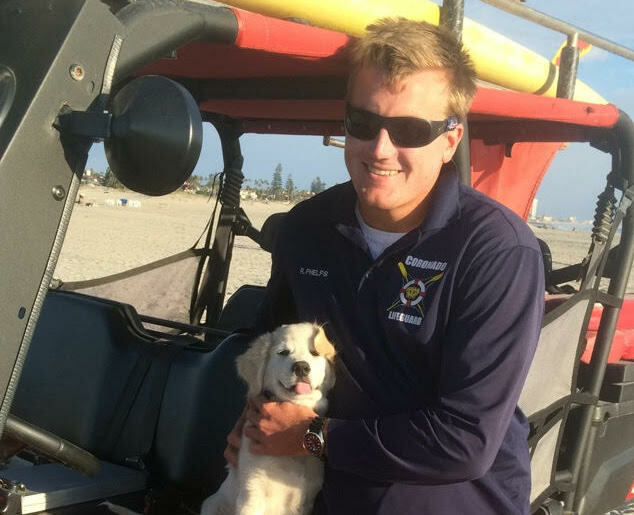 At 19 I began working for the City of Coronado as a lifeguard, which I have continued for six years now. 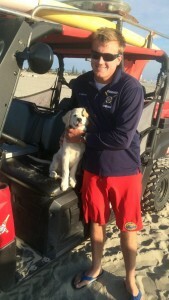 There are approximately 30 lifeguards on staff at each beach, both Coronado Beach and the Silver Strand State Beach. Our most common occurrences while lifeguarding are stingray punctures and making sure beachgoers stay away from dangerous areas on the beach, such as the SS Monte Carlo shipwreck. The shipwreck has been gaining a lot of attention lately because of the recent El Nino storms that have caused the vessel to emerge. Because of this, the Monte Carlo has recently created large inshore holes that are producing larger rip currents so we recommend that onlookers view from a safe distance. 2. What makes Coronado a unique location to safeguard our beaches? Coronado is unique in the fact that so many people come from far away just to visit the beach. I enjoy interacting with people, whether friends or vacationers. One minute I might be directing someone to a good place to have lunch and the next minute I am pulling someone out of a rip current. I like helping people enjoy the beach better. Recently we have had a larger number of sea lions show up on our beaches all across Southern California. This is mostly due to their growing population while the food chain below them is shrinking. They are searching for food wherever they can find it, and sometimes do not survive once they get to our beaches. 3. Where do you most frequently guard? I prefer to work at North Beach in the vicinity of tower 5c, adjacent to Coronado’s dog beach. During the summer, that’s where the action is. We get large south swells that keep us really busy, in terms of rescues. Also, that location is where most of the locals go to surf and body surf so I get to catch up with people I know. 4. In 2013, you paddled 32 miles in the “Catalina Classic” to raise money. What motivated you to get involved in this race? I was motivated to help raise money for the Sarcoma Alliance and those that need it most because of my dad’s fight with cancer. The Sarcoma Alliance improves the lives of people affected by sarcoma through diagnosis, improved care, education and support. Sarcoma is a rare form of cancer; a malignant tumor of connective tissue. I was really lucky to be able to do something I love (paddle boarding) and raise money for the nonprofit at the same time. 5. What is your favorite aquatic hobby these days? I still love to paddle. Traditional paddle boarders are propelled using their arms while kneeling or lying on a paddleboard. That’s exactly what I love to do. There is something special about covering a long distance with just your hands. It really helps me stay strong enough to work at North Beach.